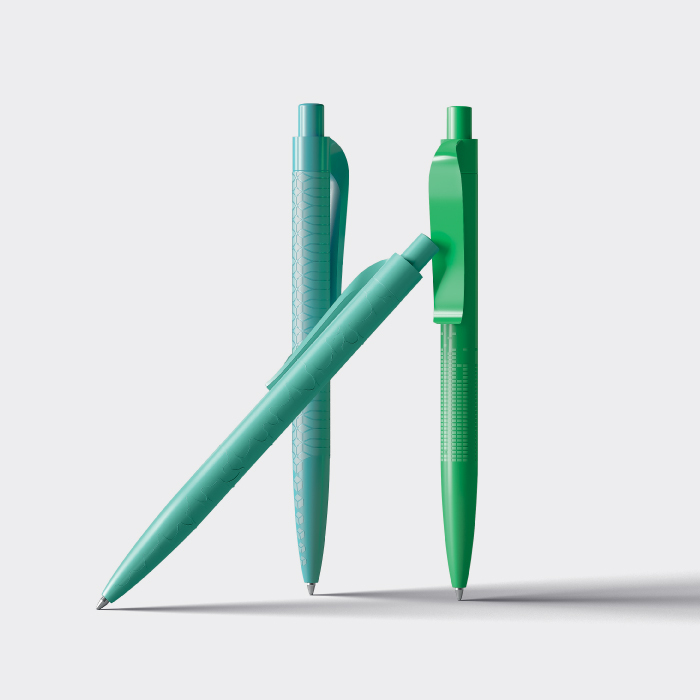 Create an exclusive look with these custom surface pens. A truly unique and unmistakable brand ambassador. 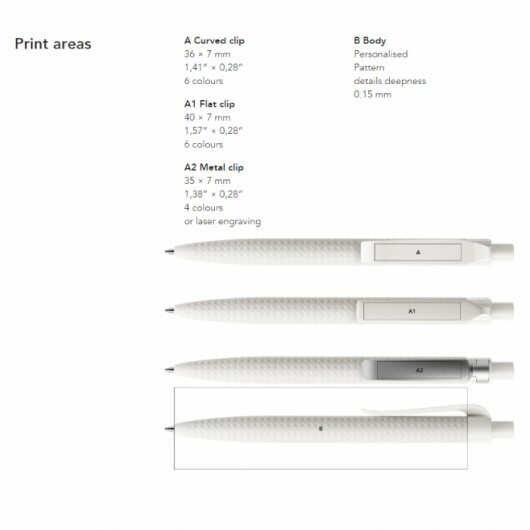 Like any Prodir pen you have an outstanding amount of customisation available - due to this we can only display some popular configuration type pricing shown can vary depending upon your choice of materials and extras. 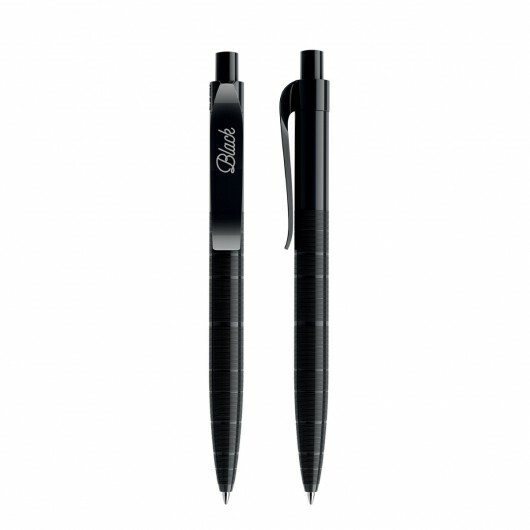 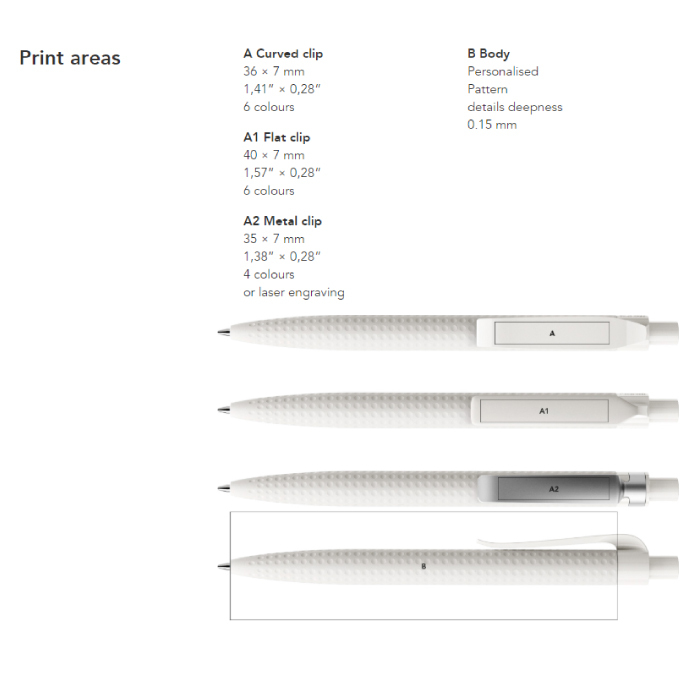 To discover the customisation possibilities of this pen use the QS00 personalisation information.